Search query data analysis is the examination of user prompted search queries. Whenever a user types a question or a phrase into a search engine, they are performing a search query. Analyzing different users search queries helps determine the specific phrases or words your clients are searching for to find you. Search data is generated by Google Search Console in the Search Analytics report. Google only gives users access to a small percentage of queries, but that small percentage is a valuable insight into consumer behavior related to the plumbing industry. You can generate this search query data by following these steps. Step 3: Select your desired target date range. Step 4: Filter your queries from the search traffic dashboard. Google Search Console only provides your company with data from the previous 90 days, but that information is valuable for recently emerging trends. This data helps your plumbing company understand user intent and consumer behavior for potential plumbing clients in your area. Plumbing Webmasters can utilize this data to increase your web traffic, local brand awareness, and overall conversion rate. For more information on how search query data analysis can benefit your business, contact Plumbing Webmasters at (877) 388-9884 today! Search Queries Are What Your Potential Client’s Type Into Search Engines. How Is Search Query Data Analysis Useful? Generating search query data is an important first step in advancing your online marketing strategy. To maximize the data analysis benefits, you have to understand that data in the context of the plumbing business. Contractors analyzing search query data will need to understand the following metrics. Your search query data needs to be properly analyzed to be useful for your plumbing business. Small data sets don’t always have the right “sample size” which can lead to the wrong conclusions. If you look at a query for “Dallas Texas Plumber for a sink,” you have to pay attention to all of the data. If the CTR for this query is 100%, but the total number of people who entered this is only two people, then this is not a relevant sample of data. You should not make changes to your website or content based on unreliable data because it will only lead to more problems in the future. Contact Plumbing Webmasters at (877) 388-9884 for more information about how search query data analysis benefits your plumbing company! Different Plumbing Search Queries Will Bring People Looking for Different Services to the Same Plumbing Companies. Search engine optimization is constantly changing and evolving. 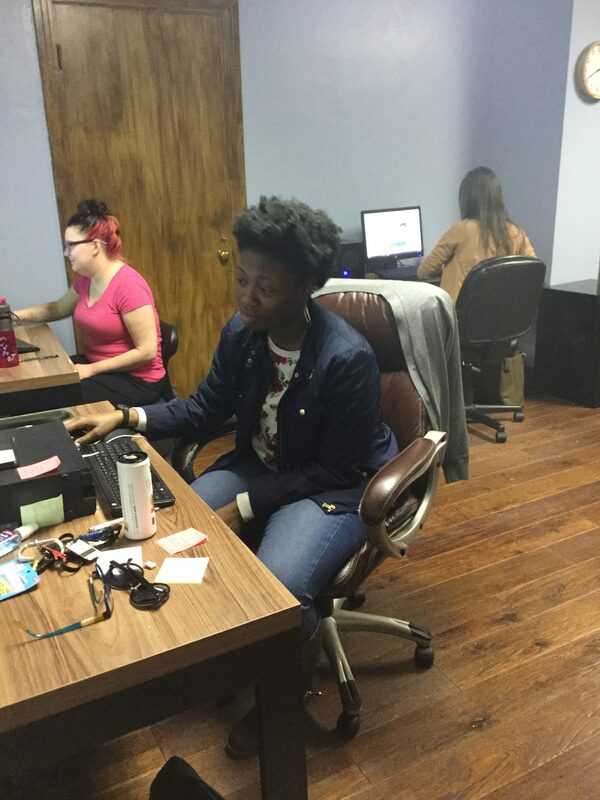 The best way to adapt to changes in SEO is to have a company stay on top of it for you. The team of SEO experts at Plumbing Webmasters stays on top of emerging SEO trends to adapt to significant changes. Search query data analysis is a detailed action that lets you or your content marketing agency know if something significant is happening in the plumbing industry. Studying user-generated queries helps plumbers gain a better understanding of what their customers are looking for so they can market plumbing services to them more effectively. At Plumbing Webmasters, we offer several different content marketing plans for plumbing contractors looking to grow their online presence through effective keyword strategies and customized websites. Our web designers and content writers have years of experience working with plumbing contractors. We develop, implement, and maintain effective marketing strategies geared at increasing traffic to your website and your conversion rate. Search query data analysis is another tool we use to ensure that we stay on top of emerging trends related to the plumbing industry so your business reaps the benefits. For more information about how Plumbing Webmasters uses search query data analysis to improve your plumbing business’ online performance, call (877) 388-9884 today! 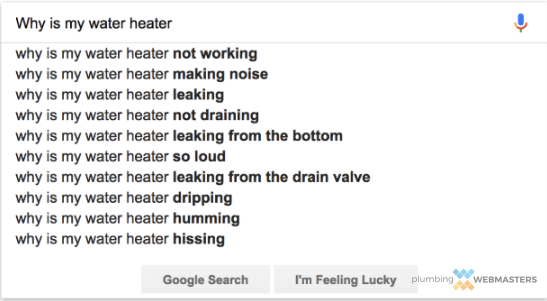 Updated on April 11, 2019 at 1:47 pm by Plumbing Webmasters.